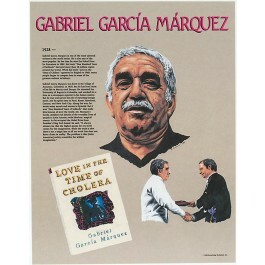 This poster of Gabriel Garcia Marquez includes an image of the Nobel Award-winning author, as well as an image one of his most famous works, "Love in the Time of Cholera." The poster also features a concise and well-explained biography of the author. 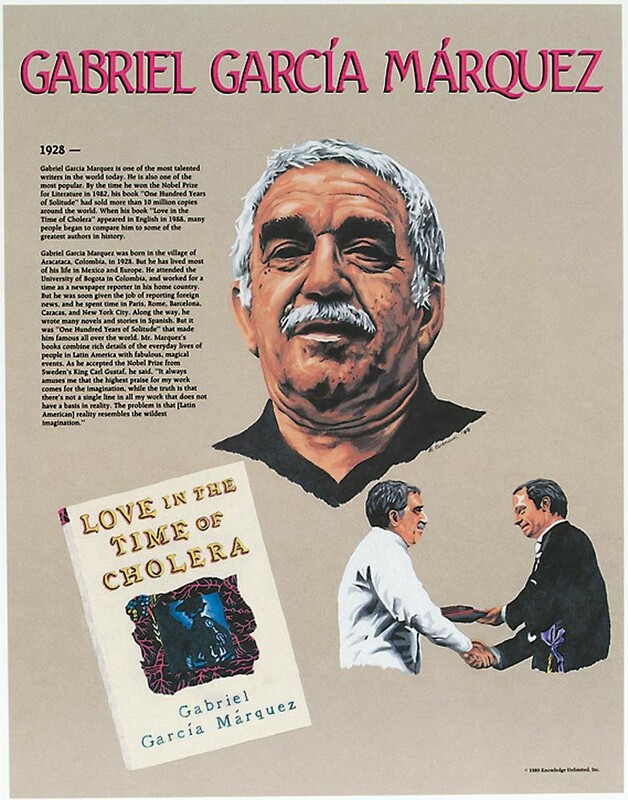 Born in Colombia in 1928, Gabriel Garcia Marquez is recognized as one of the most important and popular authors in the world. His works combine details of the everyday lives of people in Latin America, with fabulous, magical events.